See scan – absolutely perfect condition. This is an extremely rare and scarce Bulgarian Communist era submarine / U boat crew member badge / pin. Used to be worn at uniform as a breast badge. 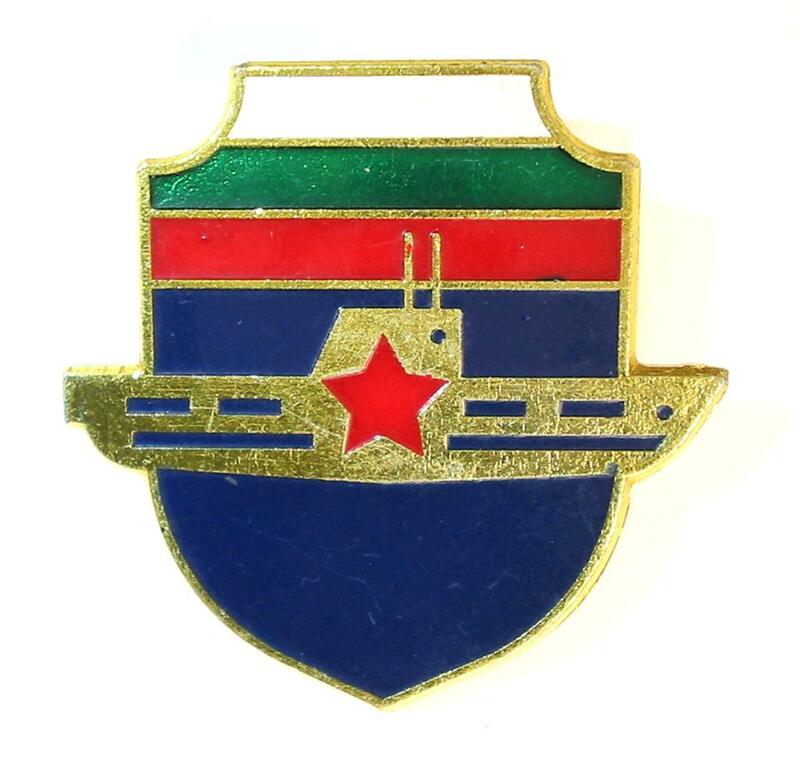 These badges are considered extremely rare, since Bulgaria had only 2 Russian submarines in its fleet and they were really small diesel types with limited number of officer and soldier crews. The badge itself has a very simple design and made out of gold plated / gilt aluminum with different color enamel on top. Atop are also the colors of the Bulgarian National flag / banner – white, green and red. The submarine has a big Red Soviet / USSR type star in middle. 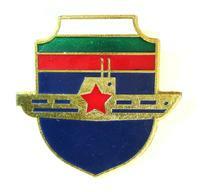 Scarce NAVY fleet and militaria / military marine collector piece and one of the rarest Bulgarian badges and insignia.